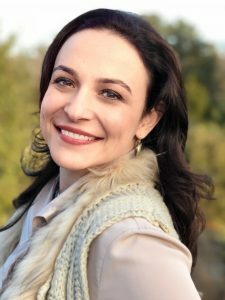 Dr. Anna Yusim ‘95, recipient of the 2019 IMSA Alumni Trailblazer Award, is a Board-certified Psychiatrist with a private practice in New York City, author of the 2017 award-winning book, Fulfilled: How the Science of Spirituality Can Help You Live a Happier, More Meaningful Life, author of chapters and book reviews in academic publications, frequent invited conference presenter, Lecturer at Yale Medical School, Researcher at Yale Department of Cardiology and Yale Department of Psychiatry, and frequent invited guest on radio and television shows and podcasts. Her research on Kazakhstan’s suicide rates, PTSD and other mental health issues among the Rwandan people after the genocide, depression in rural Ecuador, and other topics has resulted in publications and presentations. Dr. Yusim’s 2017 book, Fulfilled, was voted Top Book of 2017 by Spirituality & Health Magazine. It is endorsed by esteemed leaders in medicine, academia, religion, and spirituality and has been reviewed favorably in numerous publications including the Journal of Nervous and Mental Disease and Psychology Today. 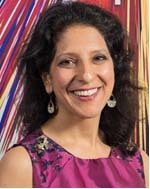 Arati Shroff ‘98, a 2019 IMSA Alumni Distinguished Leader Award recipient, is a career U.S. diplomat. She is currently a Una Chapman Cox Fellow and East-West Center Adjunct Fellow analyzing Chinese foreign investment in the United States in emerging high tech sectors. Prior to her current assignment, Arati advanced and implemented U.S. economic policy at the U.S. Consulate in Shanghai, China. Arati previously served in Washington D.C. in the U.S. Department of State’s Bureau of South and Central Asia, in the Economic and Consular sections at the U.S. Embassy in Kuwait, and in Taipei, Taiwan. She started her Foreign Service career as an intern at the U.S. Embassy in Beijing during China’s accession to the WTO. Arati also serves as an advocate for international women’s issues and is an advisor to the “Ladies Who Tech” Asia Chapter and Board Member of the International Professional Women’s Society (IPWS) of Shanghai. While at U.S. Consulate Shanghai, Arati lead a team to advance women’s empowerment and gender equality in East China and collaborated with local and international organizations to promote female entrepreneurship. During previous postings, Arati helped propel a multi-stakeholder approach to improve worker safety for Bangladesh’s garment workers, who are predominantly women. Arati is frequently invited as a university guest lecturer, panelist, and moderator to exchange insights with diverse audiences on topics ranging from international financial markets to international women’s issues. 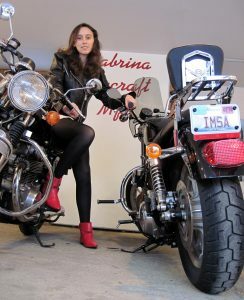 Sabrina Gonzalez Pasterski ’10, also a recipient of the 2019 IMSA Distinguished Leader Award, earned an undergraduate physics degree from MIT in three years with a perfect GPA and is now a Ph.D. candidate in physics at Harvard’s Center for the Fundamental Laws of Nature. Generating buzz as the “next Einstein” in Inc. magazine and other publications, Sabrina’s research on black holes and space-time has been cited by the likes of Stephen Hawking and she has been recognized by Forbes’ and Scientific American’s “30 under 30.” Sabrina is not only a first generation Cuban American, she was also the first woman to graduate at the top of her undergrad program in 20 years and flies planes in her spare time. Lacey Thomas ‘08, recipient of the 2019 IMSA Alumni Titan Award, has given back to IMSA in a multitude of ways. She has served on the IMSA admissions review team, volunteered with mentorship programs and has contributed to the development of culturally, linguistically, economically and diverse (CLED) students at IMSA. Lacey has volunteered her to time to ensure that CLED students have a positive self-identity by sharing her struggles and accomplishments as a CLED student at IMSA and now as a professional. 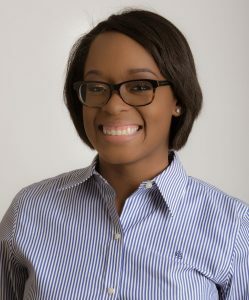 Her many contributions include Admissions Review Committee member, Girls IN2 STEM Mentor, supporter of Harambee and IMSA Carnival, guest speaker and panelist. Lacey developed three of the Prego sauces that are in stores – creamy vodka, spicy sausage and Bacon and Provolone. She is also the recent creator of the Sam’s Club 4-pound pizza. She has ensured that her recipes have both nutritional value and taste delicious. She is presently a scientist for Kraft Heinz Company in Glenview, IL having served in similar roles at US Foods, Unilever-Best Foods, Tampico Foods and Land O’Lakes in Arden Hills Minnesota previously. The honorees will be recognized at a ceremony on IMSA’s campus on Friday, May 24.